Masterpack of 2. 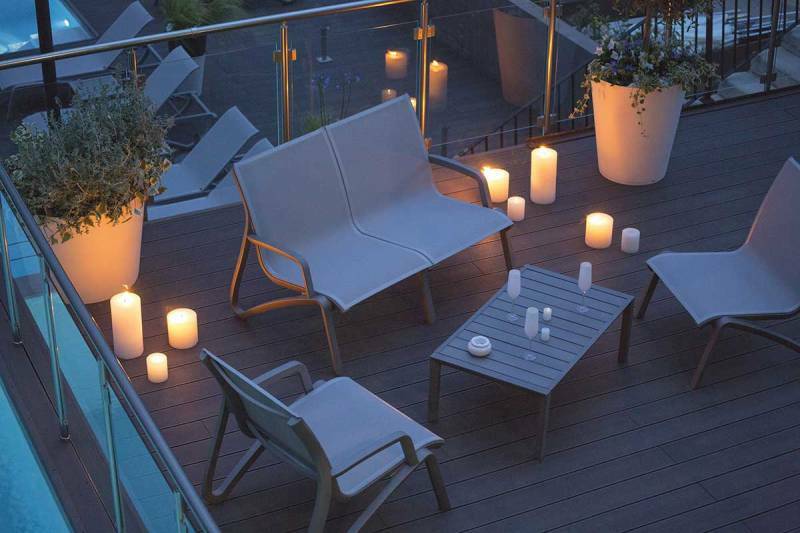 Price reflects each loveseat in master packs of 2. A $50 surcharge is added for partial master packs. Dimensions: 54"W x 32 1/2"D x 33"H. 79.36 Lbs. 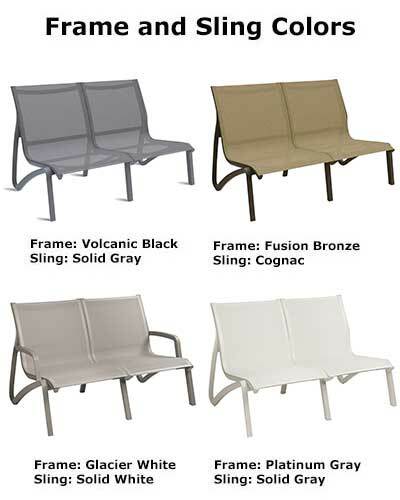 The Sunset Sling Loveseat has the look of cast metal without the weight or fear of rust. Give your guests the ultimate in poolside comfort with the Sunset Armless Loveseat! 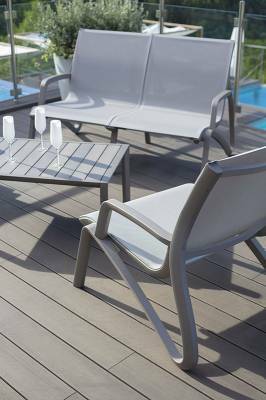 Its elegant design is perfect for relaxing post-swim, and the Microban Textilene fabric dries quickly and retains its good looks with its anti-UV and anti-bacterial properties. 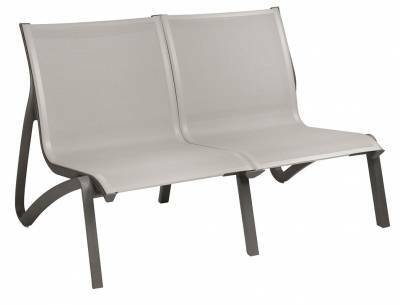 Constructed of aluminum, fiberglass and the highest quality resin, the Sunset Armless Loveseat is tested to ASTM Class B to assure safe commercial use.